Running And Fat Loss Works! Too often, people read a testimonial on the Internet, or an article in their favorite magazine, about the acceleration of fat loss received when a running program is integrated...but become discouraged when their losses dry up or they get injured. Yes, you can burn belly fat just by starting a running program, but you can sustain those results with just some simple strategies. I enjoy running, and it has been a huge factor in my own quest to to get ripped abs, but I did not get the results I wanted until I went to a more sensible running plan. * First, some reality: You CANNOT eat whatever you please and expect to get rid of belly fat. * Fat loss is always determined by calories. To lose belly fat will ALWAYS require making good food choices and maintaining a slight calorie deficit. * Include strength training with weights in your running program. It will definitely make you stronger, and is a critical element to naturally increase your metabolism by building lean muscle. * Your running program CANNOT be the same time, distance and intensity each session. You must change at least one of of those variables each time out. * You must be vigilant about spacing "easy" run days between your "hard" run days. * You must also plan for "easy" run weeks and "hard" run weeks. * Long slow running has its place, but you must become strong enough to include interval training workouts if you are to achieve permanent fat loss. Jeff Galloway's book, Get Started Running to me, is the absolute best book for someone who wants to begin a quality running program. 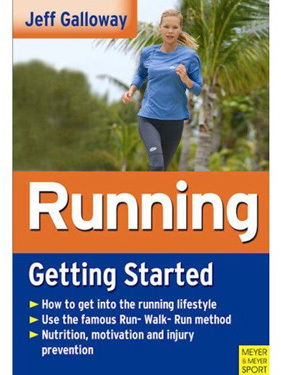 * It is practical, easy to understand, and is geared for all levels of runners. Beginning runners will find this a tremendous resource. * It is packed with great tips on everything from staying motivated to running with excellent technique. * Jeff's book contains excellent nutritional information and is very thorough on injury prevention. * You will find Jeff is committed to progressive improvement. He wants you to embrace running for life. * He provides model workouts for different goals, but also teaches you how to design your own program to benefit you even more. 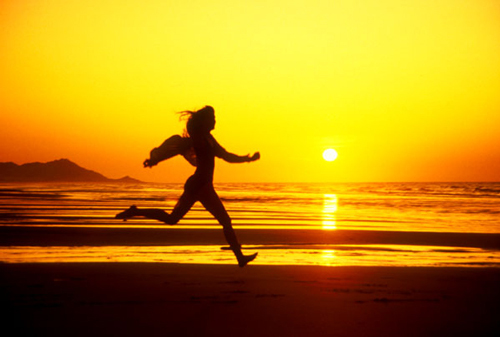 * You will learn how to balance intensity and duration of your runs for optimal fat loss. If you seriously wish to start a running and fat loss program, Jeff Galloway's Get Started Running will be a huge asset for you.